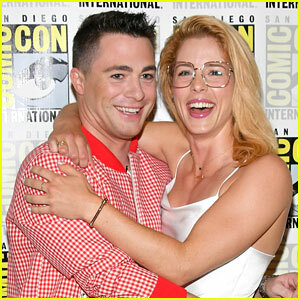 Felicity has changed up her hair, once blonde and now pink, for the season 7 premiere episode of Arrow. 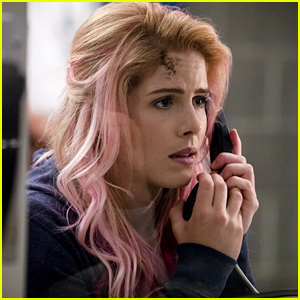 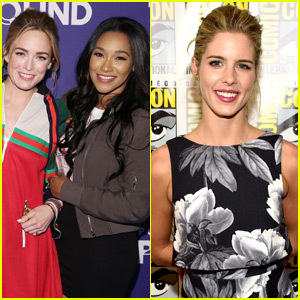 The first look photos show Felicity with her new hair color, and with some piercings, as she and Diggle go to visit Oliver at Slabside supermax prison. 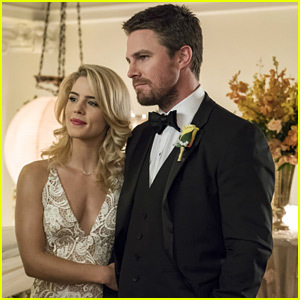 Showrunner Beth Schwartz recently opened up to TVLine about the couple’s relationship and how the dynamic is going to change, especially for Felicity. 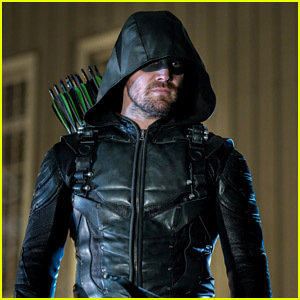 Arrow returns on Monday, October 15th @ 8PM ET/PT on The CW.